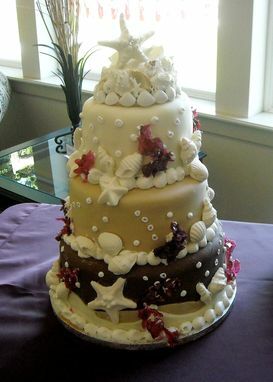 Crystal Star Seashell Wedding Cake Topper. A mix of white shells, coral, and sea life set the stage for the Pearly Star wedding cake topper in the spirit of Sailor Valentines. 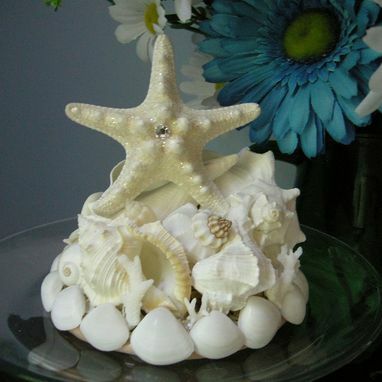 Lovely white cay shells circle the base of this seashell wedding cake topper. Many different kinds of ivory and white seashells make up a wedding garden crowned with a single glittered and pearl adorned knobby starfish.